I've just got myself a pair of non-repro deadstock BNWT (stapled) 501 little es 66 cut which the care label says were manufactured in May 1975. The button code is 16. Does anybody know which factory this is? Unusually for this era there is selvedge in the inside of the coin pocket. The denim is similar to my 5/98 Valencia Street LVC 201's but the colour is duller. Here they now are between 2 pairs of Valencia Street 201s, 10/97 and 5/98. Does anyone know If lvc always put the “correct” label on their tops? I’ve got a few tshirt and sweatshirt with period correct neck labels but now I’ve found an auction for this sweatshirt which has a label that just reads “Reproduction by Levi’s vintage clothing” on it. It also has a big NOW! On the front. Does anyone know if this might be an early repro? @Dry, nice jeans. I don't now which factory 16 was - when I was doing some work with Levi's I asked about the button codes and the archives people don't necessarily know either. What I do know is that the single digit button codes actually changed over the years, so one factory will have had several different codes. Of the three digit codes, 555 is Valencia St 554 is Texas and 643 is Tenn.
What is "Deadstock"? So it's possible to buy un-used vintage Levi's? If that's what it means. Deadstock means unworn vintage jeans with original tags attached. You can still find them if you are lucky, but most of the time it will be really expensive, especially for sought-after jeans like the 47 or 66 models. Check Japanese vintage stores like BerBerJin or Marvin's. They have a pretty large selection. Deadstock can relate to any commodity produced, not just jeans and they don’t have to be vintage either (although vintage seems to mean different things to different people), simply no longer produced. Trainers or sneakers are a good example of both of these. Finally, I think the tags/packaging are nice to have but don’t necessarily stop an item from being deadstock if they’re missing. Deadstock also relates to the machinery used on a farm as opposed to the livestock. what i want to know is, is it good? i mean in terms of overall quality. i really intrigued to buy it to add to my collection since i never have White Oak fabric and Cone Mills has shut down, this might be my only chance to get a Levis with cone mills fabric at decent price. Will welcome all the input and thank you so much in advance guys. less than a dollar? I would have picked it up before posting here. However, if it's $89, that's still a third the price of any decent selvedge denim. That's my concern. The price tag makes it pretty tempting but at the same time i'm afraid about the quality, of course i'm not demanding for quality like other high end brand with that $.89 price tag. i haven't really look at the construction but the denim color is little bit lighter blue, really unique and by touching, it seems like 11-12 Oz denim. i guess i'll cop it just for the Cone Denim Fabric. Go for it. If you don't like them, somebody here will be able to give you $2 for them. I wish I could buy some cone selvedge. You’re in the right thread, ever thought of some LVC? I did but looks like most people agree the overall quality isn't worth it and your $ is better spent in Japan. Of course Maynard. But sadly i don't have the budget to cop a pair by now plus i don't live on Europe/America which i'll be getting big charge with customs if i bought it online. Yes i though about savings and getting LVC cone mill fabric when i can in the future but i'm afraid the price will be blown out by then since the mill shut down and LVC cone mill pretty much have become collectors item. that's why i'm thinking about this $89 STF 501 just for the fabric. Where are you? There won't be any customs duty on a pair that costs $0.89. the jeans DON'T cost 0,89$...he already corrected himself. 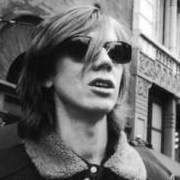 And he talks about LVC (Levi's Vintage Clothing) which cost well above 200$ at retail. I think we’ve established that they are $89 and not $0.89. Also, I don’t think most people agree that LVC isn’t worth it, especially when you can often get it at sale prices. Yes, everybody will said that. But again, $89 dollar compared to $285 is quite a lot. that's why i said earlier that i might cop this just for the Cone fabric and not for the details and quality craftmanship. If you think so then i guess i'll just skip this 89 and will be saving to get LVC instead. Thanks for the input Maynard. LOL. Thanks for the help BF. i'm done here. Sorry guys. Damn this Bourbon! This is getting confusing! My last comment was aimed at @i_denim who said he wanted Cone denim but didn’t think LVC was worth the prices. As for @superheavent I think $89 is reasonable for 501 STF using White Oak denim. Phew!!! I thought your first comment was aimed at me since i was the one who asking the question and i also said it was not LVC related but more about Levis 501 STF. Plus i though you asked me if i heard about LVC since i am asking about STF 501 Cone Mills quality. So, you think a $89 Levis STF 501 Cone Mill worth the price then? 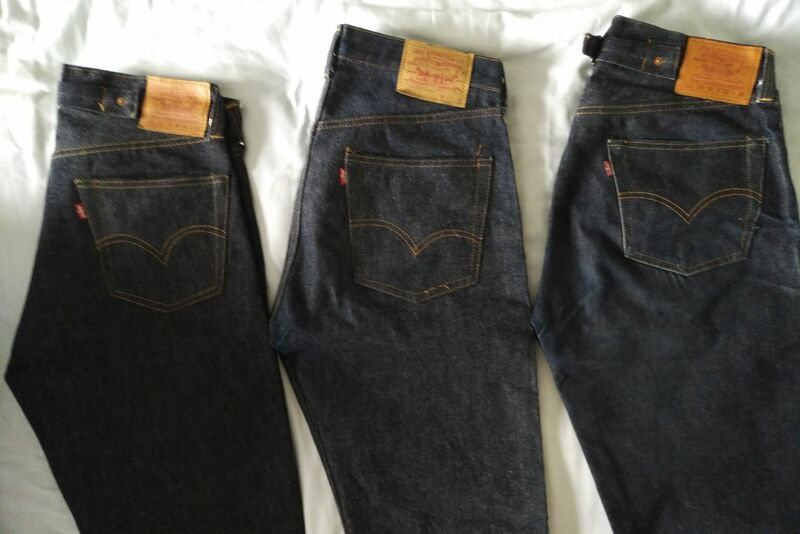 i_denim, is it correct to say you've dropped in on an LVC thread to say Japanese repros are better than LVC, despite owning neither LVC, a high quality repro, or a vintage original ? While that does make me sound stupid, I am just speculating based on what I am reading. I don’t own LVC or Vintage or Repro. My limited understanding is that Japanese denim industry probably took off as Levi’s changed gears. And now Japan offers a lot of diverse product. I do plan to own a LVC eventually and a good repro like one piece of rock. Vintage seems out of reach unless I get hired by Elon Musk. But I get your point. I keep my trap shut till I have first hand experience. Bourbon with a slice of hyperbola on the side, sir? @Paul T Thanks. It sounds as if we will never find out the secret of the button codes, sadly. I seem to remember Peter at American Classics, Endell St talking about you or the book, back in the day! I bought so much LVC there that I would qualify for discount and Cinch let me rummage in their storeroom for Valencia St LVC once! I've still got it all, much still deadstock, too! LVC may be easily available across US and UK, Levi’s stores in india don’t carry them. And we have at least 100 stores across the country. are there any online stores that anybody has used to buy LVC? I see Amazon only has 501STF, non-LVC.